Beatrice Chao Lee (Chao Chung-Ying) was born in Nanjing, China. As a child, she lived with her military family in many cities in Mainland China until 1949, when her family moved to Taiwan where Beatrice finished high school. At the age of 19, Beatrice flew to America to attend the College of Mount St. Vincent in Riverdale, New York on a four year scholarship. On June 1, 1954 Beatrice received her B.A. in Social Studies with a minor in Fine Arts and two weeks later she married Raymond Lee, a chemical engineer from Shanghai whom she had dated for 3 years. 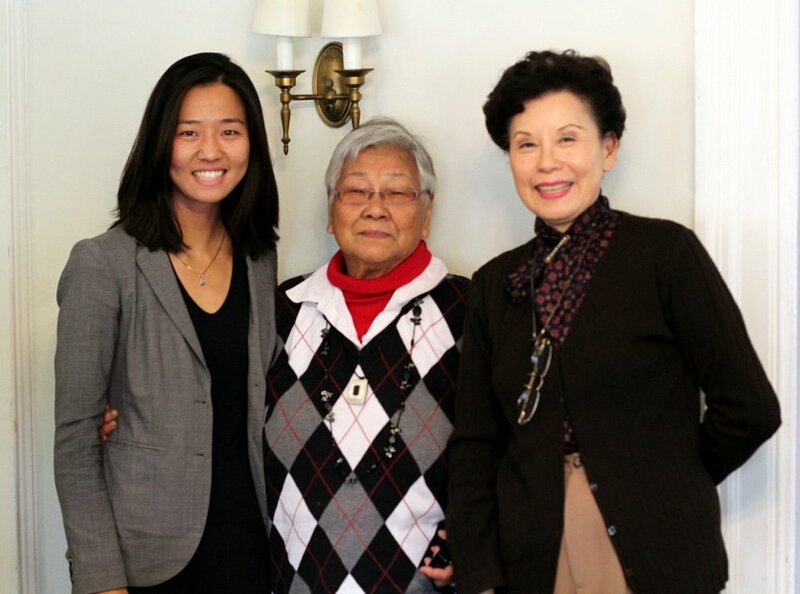 Beatrice Lee(middle) and Michelle Wu(left) at Chinese Golden Age Center in Brighton. After two short years in Michigan, the newlyweds moved to the Greater Boston area where they became naturalized US citizens and have remained ever since. While raising their five young children, Beatrice returned to school and earned her M.Ed from Northeastern University in 1972 and taught mathematics in the Winchester, Lexington and Arlington public school systems. She later became a licensed social worker, earning her LCSW and working as a Geriatric Case Manager in the MA Department of Public Welfare until her retirement in 1992. For the past 25 years, Beatrice has written for various periodicals as a bilingual arts and entertainment feature writer and reporter. 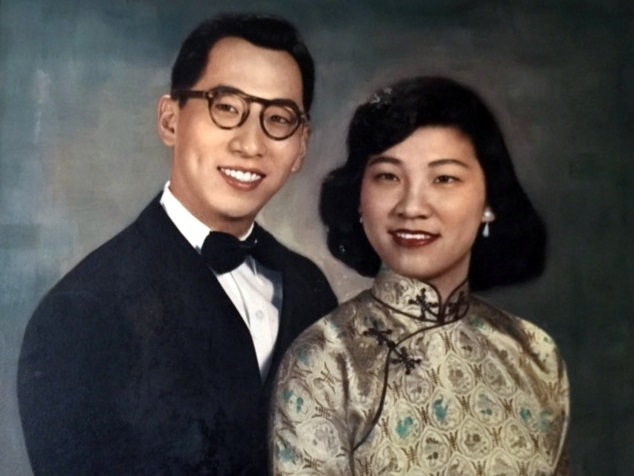 In the local Chinese community, Beatrice and Raymond have always been active. Over 50 years ago, they were pioneers in the small groups that founded the Greater Boston Chinese Cultural Association, the Chinese Family Summer Camp and the Newton Mandarin Chinese language school. Until his death in 2010, Beatrice’s husband of 56 years, Raymond, was a chemical engineer, entrepreneur, writer and philanthropist who operated his own chemical company and founded a charitable foundation to carry out his philanthropic goals. Beatrice’s father graduated from the Whampoa Military Academy and served as a Lieutenant General in the Chinese Nationalist Army. Her mother was an elementary school principal with a degree from Jinling Women’s College in Nanjing that made her one of the few women college graduates of her generation in China. Beatrice and Raymond have five married children and thirteen grandchildren. The eldest, Patrick is a board certified critical care surgeon, Paul is a computer engineer, Phyllis is a business executive and attorney, Peter is a publications editor and Priscilla is a teacher and community activist currently studying as a Democracy Fellow at the Harvard Kennedy School of Government.